Girls Holiday Pant Set is great for this upcoming Holiday Season! Let your girl show off her festive side for the Christmas Holiday. 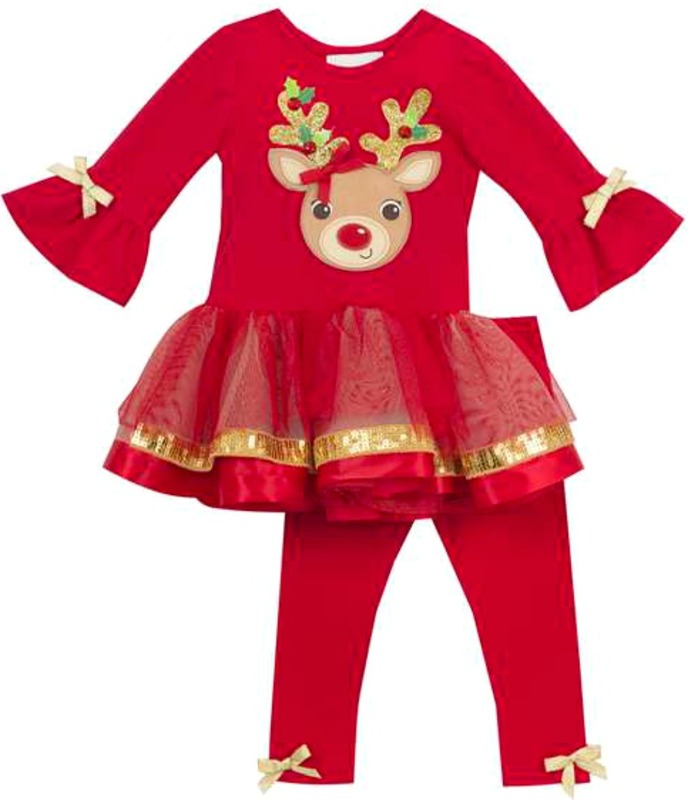 Girls Chistmas pant set features a reindeer face applique, mesh ruffle with gold trim! Picture Perfect!